The pulling power of Aintree's Grand National meeting remains as potent as ever and with the three-day Merseyside spectacular falling a week later than usual in the calendar year on account of a late Easter in 2012, racing gets under way at Aintree on April 12. The highlight of the opening day is bound to be the Bowl Chase over 3m 1f on the Mildmay course and Aintree specialist Nacarat seems sure to be back competing around one of his favourite tracks while Nicky Henderson may give his improbable Ryanair hero, Riverside Theatre, the chance to tackle a longer trip on this sharp course. Elsewhere on Thursday the hunter chasers will be plying their trade in the Liverpool Foxhunter and The Polomoche could be a lively one in a race staged over the Grand National obstacles while in the Liverpool Hurdle Big Buck's is nigh on a certainty after a remarkable fourth consecutive success in the World Hurdle at the Cheltenham Festival. 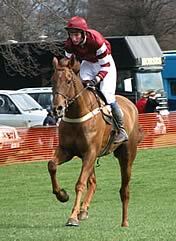 On April 13, Aintree's second day, the highlight has to be the Melling Chase and this race could feature Finian's Rainbow, the Queen Mother Champion Chase hero, stepping up in trip and facing the evergreen Albertas Run, who finished a valiant second to Riverside Theatre in the Ryanair Chase at Cheltenham last month. Much will depend on how well the former has recovered from his festival exertions. The daunting Aintree fences come into play for the Topham Chase which is always a wide-open contest and the advice as always is to side with a sound-jumping and experienced campaigner while in the Sefton Novices' Hurdle, Harry Topper might be the type to spring a surprise against more fancied rivals. April 14 features the 2012 Grand National and after the unseemly spectacle of a leg-weary Ballabriggs in last year's contest, the racecourse officials will be hoping for some rain between now and post time because the prospect of a long hot run-up to the world's most famous race spells potential trouble for the Grand National. The Willie Mullins-trained Prince De Beauchene has been ruled out after suffering a hip injury. 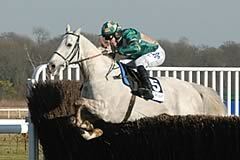 The nine-year-old was made market leader following his victory in the Bobbyjo Chase at Fairyhouse in February. But following an unsatisfactory racecourse gallop at Fairyhouse this week, a scan revealed the gelding had suffered a hairline fracture to his hip, ruling him out for the rest of the campaign. 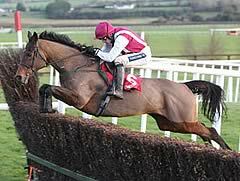 The Irish challenge is bolstered by the inclusion of Treacle, Sea Bass and The Midnight Club while the home challenge again features last year's winner Ballabriggs alongside Cappa Bleu, Sunnyhillboy and possibly Burton Port, who ran such a good race in the Gold Cup last month. April is also the month when the turf Flat season finally kicks in with the Craven Meeting at Newmarket on April 18 and 19, with the Nell Gwyn Stakes for Classic fillies on the opening day and the Craven Stakes on the 19th for possible Classic colts. The search for Classic clues shifts to Newbury on April 21 when the Greenham Stakes heads the bill, and over at Ayr on the same day the Scottish Grand National takes centre stage. Last year's third Always Right could be a likely sort to improve upon last year's fine effort. The curtain comes down on April's hectic month of action with the traditional mixed jumps and Flat card at Sandown on April 28. Mary Hambro has been aiming her stable star Dover's Hill at the Bet365 Handicap Chase and he should give a good account in this 3m 5f handicap.